Prince Harry had a Cinderella moment with a little girl during his visit to New Zealand on May 15. Kensington Palace shared on Instagram the sweet moment. The picture shows how Harry, 30, proves to be a true Prince Charming as he kneels down with the girl’s shoe and is ready to help her put it back on. 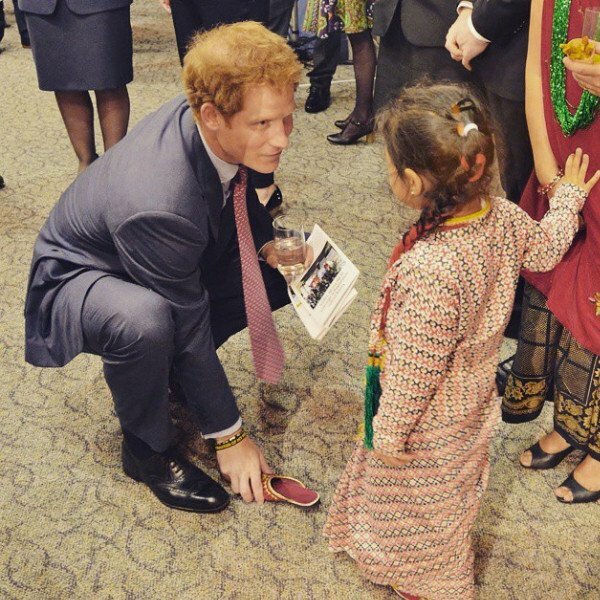 The young New Zealander had Prince Harry bending down to help her with her shoe which had fallen off. The adorable moment came just days after Prince Harry admitted that he would love to settle down and start a family, adding it would be great to have someone to “share the pressure” of royal life with. Prince Harry is currently on tour in New Zealand, following a month-long Army secondment in Australia, and has been larking around as he visits local charities and trusts.